This tea is just ginger. 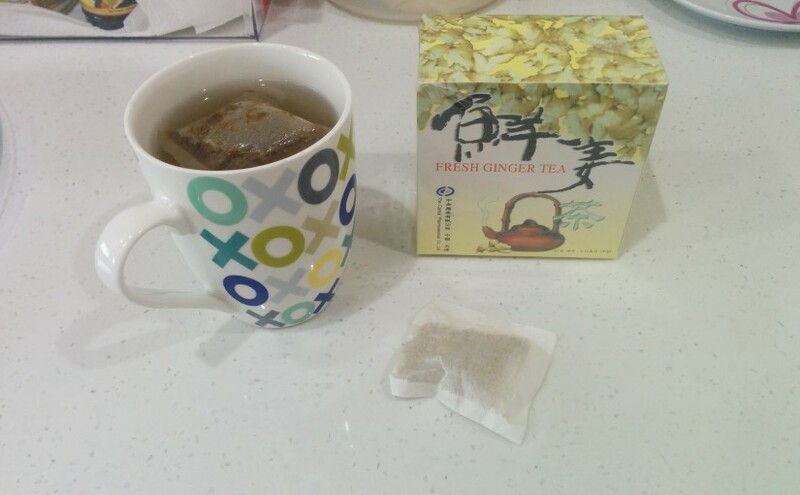 However, it’s not too strong – and if you have any taste for ginger at all, it’s quite pleasant. Certainly, I always pick up a box when I’ve run out. 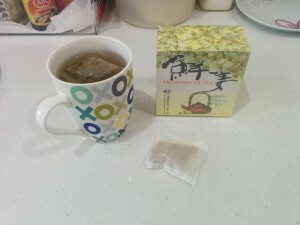 The taste does not become overwhelming if you leave the bag in for a long time – so it’s a “set and forget” tea, which suits my style! The manufacturer is “The Central Pharmaceutical Company Limited”, which is not a company name you’d usually associate with a tea maker. My guess is that they make medical products, including traditional Chinese medicine – including ginger tea. The local distributor’s address is printed on the box.